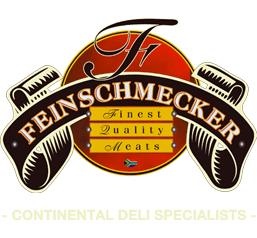 Feinschmecker (Pty) Ltd is an independently owned & operated business that has nothing to do with the companies currently implicated in listeria findings released by the Department of Health on Sunday 4th of March, 2018. One of the most important factors ensuring Feinschmecker continues to produce superior food products is the company’s all encompassing food safety management program. It is a general philosophy that the company and all its employees have decided to adopt in the last few years. The strict hygiene conditions are an everyday commitment to our clients from our processing facility all the way to your receiving bay. It is the company’s aim to operate the business following the ‘Food Safety and Quality Management System’ as our top priority. Due diligence’s according to this process are constantly performed whilst keeping in line with productivity targets. To comply with all relevant food legislation, standards, and guidelines we have implemented a Food Safety Management Program. Functional plant layout and sanitary design of equipment. Processing methods permitting safe handling of food. Adequate cleaning and sanitation measures. Regular examination of health and personal hygiene of staff. Regular staff training on hygiene requirements. We now have full traceability across all products so that if any defect is detected on a batch it can be recalled speedily whilst knowing the source of all ingredients for follow up. SANS 10049: Food safety management – Requirements for prerequisite programmes (PRP’s). SANS 10330: HACCP Principle 1: Requirements for Hazard Analysis and Critical Control Point (HACCP) system. Act 119: Agricultural Product Standards Act, specifically Meat Safety Act no. 40 of 2000. All raw materials are of the highest quality and safety standards. We only use suppliers who also adhere to strict food safety standards and we maintain this with our ‘Supplier Quality Assessment Program’. The Food Safety Management Program is at least annually audited by a 3rd Party Auditing Company. Since 2009 we have managed to obtain an audit mark of over 90% which is almost unparalleled. 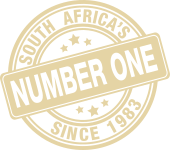 We use the largest auditing company in South Africa, “Food Safety Assessment.” They audit for many of the top retailers in SA and they strictly follow the auditor’s code of conduct SANS 19011:2003. All pest control is managed by our appointed contractor, who provides safe and effective controls of insects and other pests. They have integrated pest management methods to prevent infestations and ensure a safe product and environment. They are also an ISO 9001 registered company. An SANAS accredited laboratory will be performing microbiological testing on regular intervals to ensure high levels of hygiene is maintained at all times. We use the highest quality cleaning chemicals and materials to ensure the facility and the equipment are maintained in a clean state. Daily inspections are performed ensure compliance. All products used are registered with the SABS according to SANS 1828 and SANS 1853 standards. Internal review of the food safety management system is performed with Quality Management Solutions. They assist us with providing professional technical support e.g. design and layout of the facility; targeted and relevant training; development and improvement of the food safety and management system; troubleshoot to achieve compliance; labeling advice etc. Maintaining temperature control to limit the growth of pathogenic bacteria that may be present in food items is vital. Cold Chain Management is an underrated aspect of the cold meat industry. It is also difficult to manage due to the different individuals and companies involved in the process. When maintaining your own retail spaces follow the above simple temperatures for best results. Not only will you automatically get more shelf life out of your products, but aesthetically they will look better and sell faster. Preventing the ‘Breaking of the Cold Chain’ is incredibly important. When your order arrives ensure it goes straight into your own chilled facilities so that the core temperature of the product never increases above the +5 degree Celsius mark. It must not stand around outside while you receive the next delivery! Refrigeration is taken very seriously at Feinschmecker. Parkes Refrigeration are on 24 hour call to make sure that all cold rooms and freezers are running at the correct temperatures. They are experienced technicians and understand the value of ‘cold chain management’. Contact them for best results.